GoCodes landed in the 15th spot in this quarter&apos;s Category Leader ranking for inventory management, with a total score of 45. 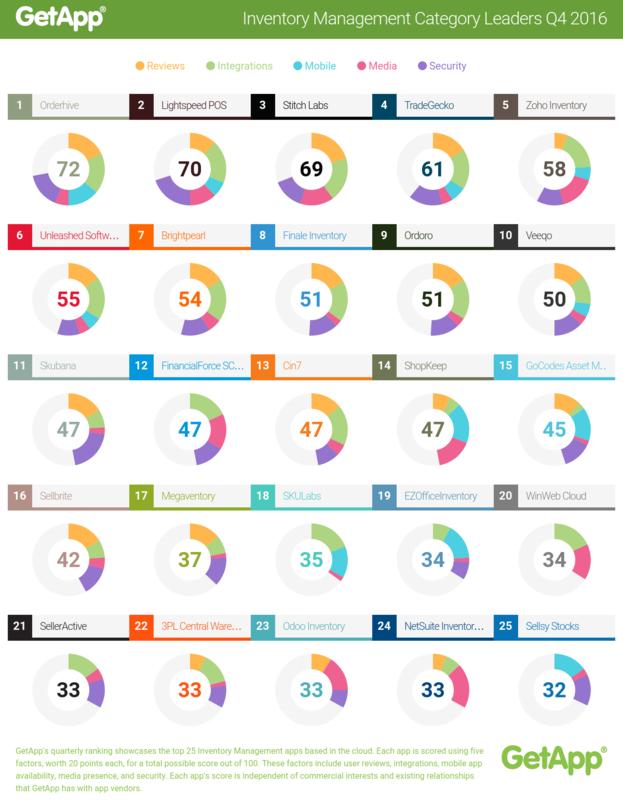 Its well-reviewed mobile apps for iOS and Android contributed 15 points to its overall score, as well as a solid 13 for security, ensuring their spot as one of the top 25 inventory management solutions in GetApp&apos;s ranking. While GoCodes is well known for inventory management, it&apos;s also a popular choice for customers seeking a powerful and easy-to-use asset tracking solution. Best of all, everything&apos;s included in the price, so there&apos;s no hardware to purchase, software to install or labels to buy. Want to learn more, check out a free trial or online demo today!